Custom Business Signage from Spectrum Sign Systems, Inc.
We build custom signs that will increase visibility and enhance your brand. 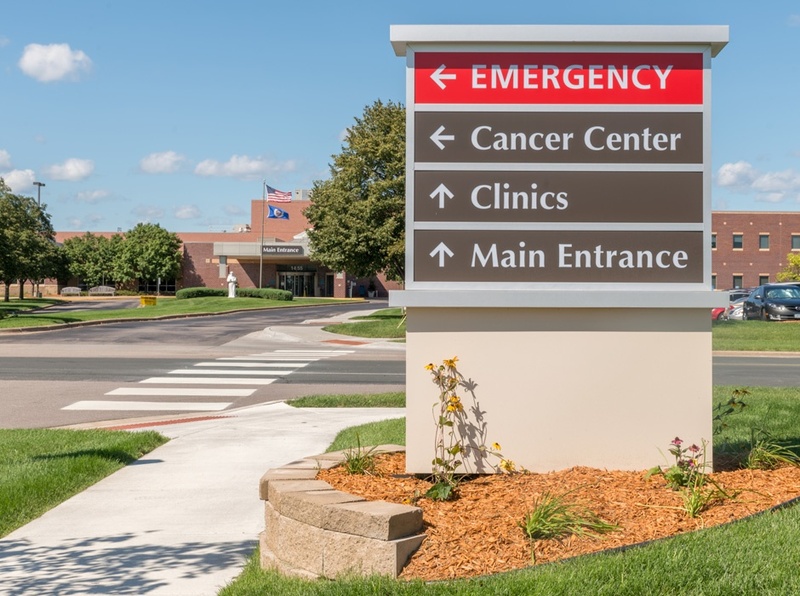 We help businesses, developers, hospitals and universities increase visibility and brand recognition with custom signs. Our process includes creative sign design, custom sign fabrication, sign installation and sign renovation. 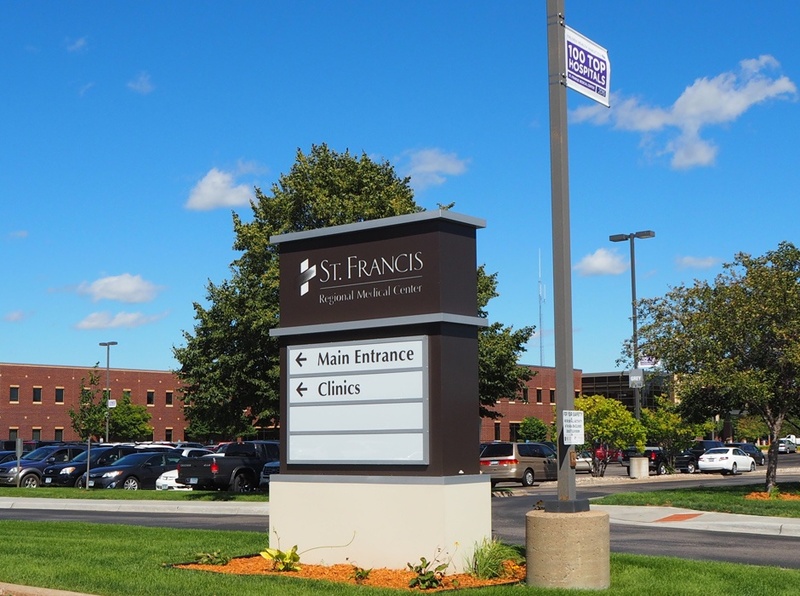 Minnesota's premier sign company since 2001, we serve clients in Minnesota, Western Wisconsin, and Northern Iowa. We have experience working with a variety of industries. Let's talk. "Our experience with not only Rick, but also his entire staff at Spectrum Signs, has been outstanding. They're all top-notch individuals, top to bottom; very responsive, very committed to what they do." We can help you increase visibility and enhance your brand. The interesting piece about the project we worked with Spectrum on in regard to way-finding and monument signs at the hospital is that Scott County relocated the road on the front side of the hospital a fraction of a mile to the south end of a field that's out there, so it changed the entrance to the hospital for the first time in two decades.